A mysterious and suspenseful story that will move and disturb you to the very end. When she sees what looks like a child tumbling from a ferry into frigid Lake Champlain, Troy Chance dives in without thinking. When she gets the child to shore she discovers that his name is Paul, he speaks only French—and no one is looking for him. Her determination to protect Paul pulls Troy from her quiet life as a writer in a small Adirondack town into an unfamiliar world of wealth and privilege in Canada and then in Vermont. Her attachment to him—and the danger she faces when she tries to unravel the mystery of his abandonment—force her to evaluate everything she thought true about herself. The first book featuring the unforgettable Troy Chance, Sara J. Henry's riveting, award-winning debut will keep you engrossed right up to its shattering conclusion. 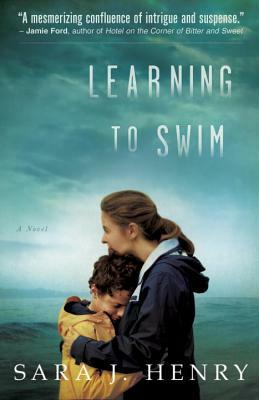 SARA J. HENRY's first novel, Learning to Swim, won the Anthony, Agatha, and Mary Higgins Clark Awards, was a Target Emerging Author pick, and was named one of Best Books of 2011 by the Boston Globe. Her second novel, A Cold and Lonely Place, is an Anthony award nominee for Best Novel and was a Reader's Digest Select Books choice. She has written for Prevention, Adirondack Life, Bicycling, Triathlete, and other magazines, was an editor at Rodale Books and Women's Sports & Fitness magazine, and was a newspaper and magazine editor. A native of Oak Ridge, Tennessee, Sara lives in Vermont. Visit www.SaraJHenry.com. The novel opens when Troy dives into Lake Champlain to save a child she had seen only for a split second.Have you ever been in a similar situation? How did you react? Troy describes her attachment to the little boy she rescues as quick and atavistic, and wonders if this is what her sisters felt like when they had their children. Do you think a maternal bond is instinctive and instant? Do you think a similar bond could be formed by people who share a traumatic experience? Hoping to protect Paul from being put into foster care, or possibly being returned to a bad home situation, Troy keeps him at her home until she can track down his father. Why do you think she does this? Was she right to keep the police out of it? Troy thinks she will be able to tell immediately if Paul’s father had anything to do with his kidnapping. Is it possible to be so sure about a person’s motives based on a first impression or gut reaction? What did your instincts tell you about Philippe when he and Troy first met? In Lake Placid, Troy doesn’t really have to adhere to any schedules or be accountable to anyone, until Paul enters her life. Aside from her lifestyle, how else does Paul change Troy? Are these changes for the better? No one in Philippe’s household talks about Madeleine at all. What conclusions did that cause you to draw about her relationships with Paul and Philippe? Were you right? When Claude learned that a body was found that matched Madeleine’s dental records, he was devastated. Did this change how Troy saw him? Did it change how you saw him? Vince, Marguerite, and Alyssa all gain Troy’s trust quickly, while it takes her a while to warm up to Jameson. Was Troy’s trust always well-placed? Which characters did you find easier to trust than others? Claude and Madeleine grew up in foster care after tragedy struck their family. What role do you think this played in their actions as adults? There are several men in the book that seem to care for Troy deeply, especially Thomas.Does Troy treat him well?What do you think her feelings are toward the other male characters, and how well does she handle them? The dogs in the story are all named for fiercer animals. What significance does this have?Could the characters be looking for protectors? What else was important about the animals? How does the title illustrate the themes in the book? Troy has to swim for her life several times, but do you see any other significance to the title? What else does she learn? At several key moments in the book, Troy reminds herself that he best thing to do is usually the hardest thing. In the end, she makes a particularly difficult decision. Was this the right choice? What about her other decisions? When she responded with ease, did she usually make the right choice, or the wrong one? What’s next for Troy Chance? What issues or characters in Learning to Swim would you like to see explored further?